Wednesday – bitterly cold and sunny. What a fantastic day. I now have 47 hints and tips to work on to improve my skiing. Mainly spread my legs apart (not the sort of advice you give to a daughter) and lean into my boots, weight forward and lean into the fear. And best of all it was all free. 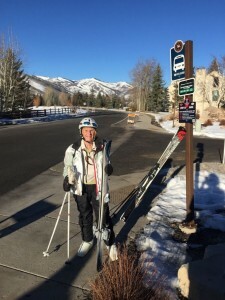 Wendy at the bus stop, all excited for her first days skiing. “Standing Tall for America” means firing your workers and moving their jobs to India. Thursday – cold and sunny. I know I skied today, and fell asleep through most of the evenings TV, after a few glasses of wine, but thats about all I can remember. Oh that was it a lazy start. Up on Temptation for 11:00. Practised all my 47 hints and tips to fix me bad habits. Really difficult keeping legs further apart and leaning forward and into my boots is tormenting some new muscles. Back home for 15:00. Plumber turns up to fix the heating. As suspected it was a dirty filter stopping the warm air flow and also causing the boiler to overheat (pity it didn’t share any of those excess therms with us) and cut out. Anyway all fixed and now Wendy can fry. A good way to fight terrorism is to belittle ourlong-time allies, then demand their cooperation and money. Friday – cold and sunny. 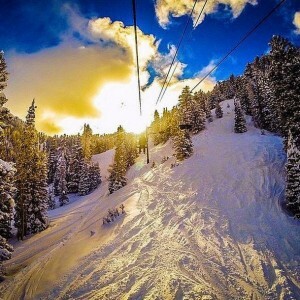 Beautiful sun and snow shot. It’s the start of Sundance Film Festival fortnight. Two weeks of mayhem and chaos with the pretty film people parading around, high heels, “fur coats and no knickers” as we say. Yeah, they’re going to let me go up with the big boys as a mountain host, rather than just a plaza host, so I did a great mornings training with Todd. Most of it’s fairly straight forward, until you come to having to deal with the radio, but at least I can do a 10-4. Your day as a mountain host starts at 08:00 with briefing and assignments; then onto plaza or meeting points from 08:30 to 10:00 to meet, greet and dish out maps and information; then back to lockers to get kitted up; up onto the mountain to our assigned map, where we answer questions and direct skiers and even snowboarders around the mountain. Nearly skiwered. Poor thing ran out in front of me, saw me coming. He panicked, didn’t know which way to turn, dashed left, then dashed right, then left again. Just missed him. Good news is there’s 3 of us assigned to each map, so at any one time there’s someone at the map and someone out skiing. 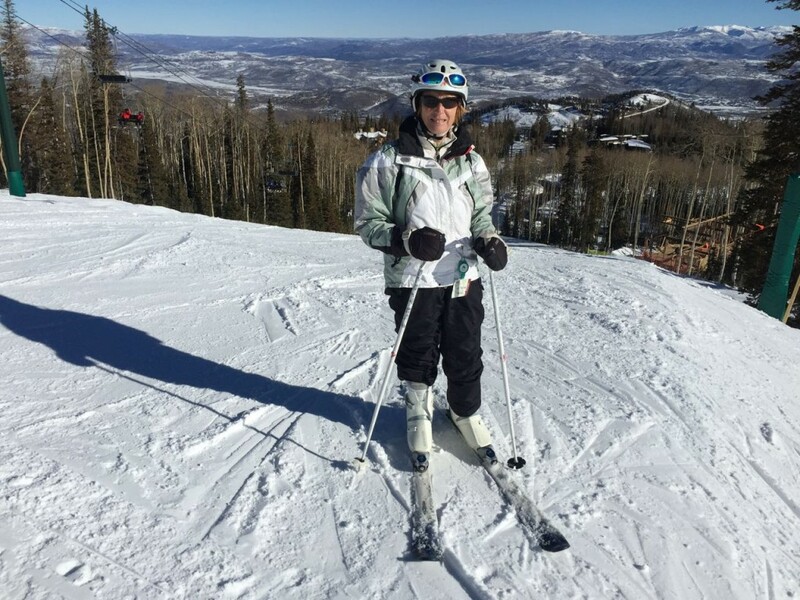 You’re encouraged to take guests on single ski tours. Then there’s breaks for caffeine and lunch. So not all bad and we should get to meet plenty of people and get in some skiing, in between dealing with code Greens (separated children, they’re not lost merely separated) and code 10-50 (accidents, where we summon up mountain patrol, the cavalry, and try and keep the injured guest calm). Drop skis and uniform off in our locker and then off to supermarket to lug some essential supplies home. Bubble Headed (BH) young woman – “Does this bus go to Sundance?”. Me – Abandon hope and let the bus driver deal with her. BH – gets on the bus and enters a lengthy discussion with the very patient bus driver. 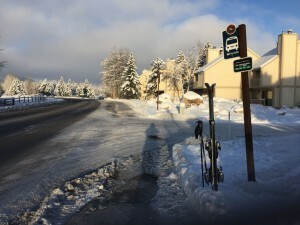 Most of the skiers on the bus would be ready to fall about laughing, if it wasn’t for the fact that this is delaying them getting onto the mountain. Never mind we’ve two weeks of this, but the good news is most of the Sundance Pretty People don’t ski so it should be quiet on the mountain. Saturday – cold and sunny. Deer Valley skiing. Perfect corduroy, luxury lodges and well heeled skiers. On the slopes with the lazy holiday brigade at 10:00. A few runs; coffee; a few runs. Work on keeping my legs apart (not good advice to any daughters); leaning forward, into my boots; holding poles forward – this one makes me feel, and probably look, like a complete plonker. Follow up with a Starbucks Clover moment and meet Wendy who’s been down to the outlet stores for some retail therapy. It’d be cheaper if she’d ski. 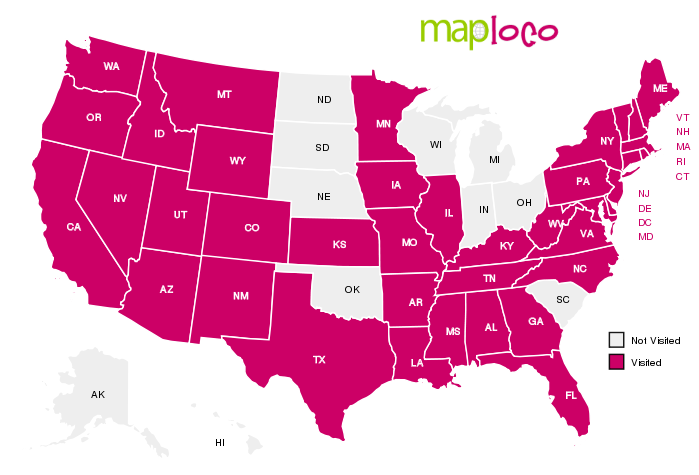 You support states’ rights, which means Attorney General John Ashcroft can tell states what local voter initiatives they have a right to adopt. Todays Sundance Bubblehead award goes to the young guy on the bus, who probably wet himself with excitement, as he shouted out “wow there’s that director (name I’d never heard of, but that’s no surprise), his girlfriend tried to dash to the window and wave to her. 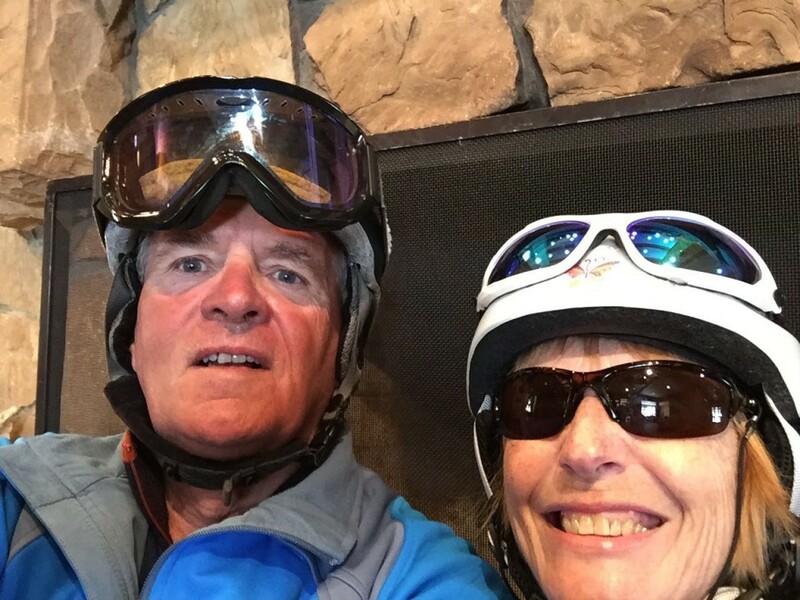 Deer Valley selfie (what a sad doing one of them) by the fire. Up at 06:00 to catch the 07:30 workers bus; followed by 08:00 Mountain host briefing; 08:30 to 09:45 down at First Time ticket office dolling out advice and grooming reports; then get geared up; 10:30 on the map at top of Silverload until 15:30; slow ski patrol rotation until 16:15; followed by final ski down and help any stragglers. Quite a good day. Awesome weather. You get to meet and chat to lots of different people, even snowboarders. Get plenty of ski runs in through the day. Even get to take guest on single run ski tours. Pretty good day. On final run down thought I’d finally got the excitement of a 10-50 (accident) to be called into the ski patrol. Snowboarder was splayed out, but she wouldn’t stay down, managed to struggle to he feet, so didn’t get the excitement of a radio 10-50 call. 57 percent of Republicans (32 percent overall) believe that Obama is a Muslim. 45 percent of Republicans (25 percent overall) agree with the Birthers in their belief that Obama was “not born in the United States and so is not eligible to be president”. Sundance Bubblehead Award goes to the young woman who thrust her iPhone in front of the driver, whilst he was driving of course, and asked to be taken there. Poor guy reminded her he was driving and it was difficult to drive and read – much too polite. Awesome bluebird day. It’s just like spring skiing. Too hot. A cruelty to snow day. 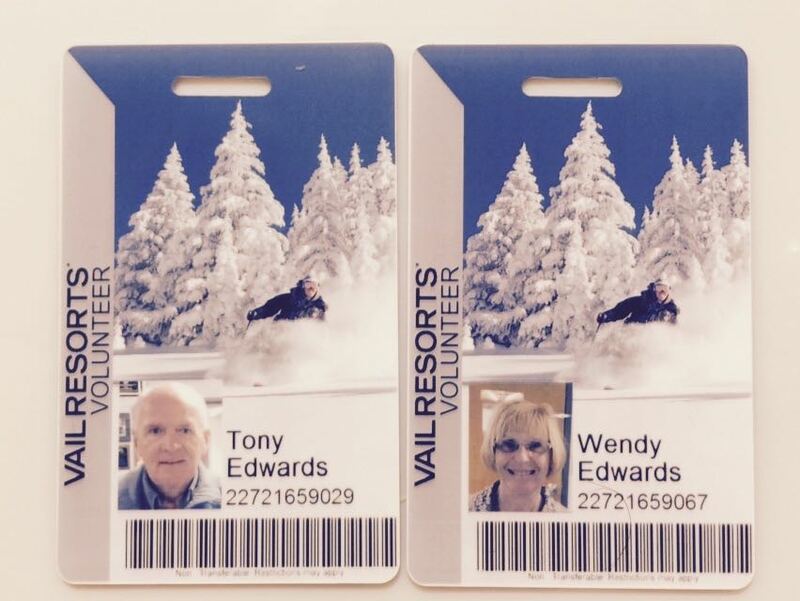 Use our weekly free Deer Valley pass. Good mornings skiing with Wendy. Did well on her first day. She got 5 runs in and as always she is so much in control, I wish I could be so controlled in my skiing. Amazing how you never forget, just like riding a bike. Late lunch at Snowpack lodge, except that there’s nothing that Wendy fancies, so it’s just a coffee and home. 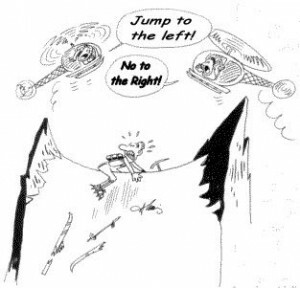 Finally don’t you just love the “Right to lifers”. Against abortion. But, but they’re ok with the death penalty; nuclear weapons; war and weapons. Of course they’re against any form of gun control. Next week it’s the turn of the Democrats. Mayhem and chaos reigns in town. No wonder the buses are all running late during Sundance, they add extra bus stops to save the poor wee Sundance Bubbleheads from having to walk an extra 20 yards to the normal bus stop. Wendy’s first day out. Note the lack of scumboarders. 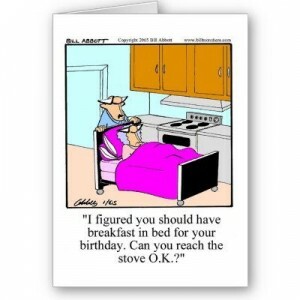 Have a lazy start. Another too warm day, not doing the snow any good. Get my 10 runs in, then it’s back home to help out with a trip to the supermarket and better still the liquor store. In the evening Rick and Lynda come round for dinner, we have a pleasant evening catching up and helping the American wine industry. Please Chione, bless us with some snow tonight. Hopefully a little more than the half inch forecast. This town must really think that these Sundance bubble heads have an IQ lower than their shoe size. It seems it needs two lolly pop ladies to help them cross the road without getting run over – do they not realise they’re interfering with natural selection. Wednesday – sunny at the top and cold. 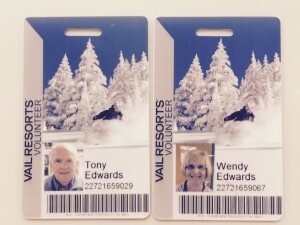 At last our free season ski pass. Awesome. At last I have my free season ski pass so can get out on the mountain for 09:00. Sadly Eagle lift is out of operation so no quick way to the top, but hey it’s just awesome to be back and they’ve 20″ fresh snow over the past few days. By 10:30 I’ ready for my usual coffee break by the log fire in the Snow Hut. Sadly the fires not yet lit, but this mornings entertainment is watching an imbecile try to light a fire. 1st chop wood with an axe the size of a Swiss Army knife – an abject failure. Next pile wood in fireplace and the put paper on top. Light paper, scratch head, pick nose as he wonders why it goes out. Now he’s burnt himself. Back out skiing and get my 10 runs in before lunch. After lunch go down to the Outlets centre and manage to get a five mile walk in. In the evening fall asleep watching Broadchurch. Nothing at all to do with the wine, it’s all down to all that fresh air and exercise. The government is committed to spending 0.7 per cent of GDP on overseas aid, an essentially arbitrary figure that means the aid budget rises as the economy grows. In trying to meet this target, civil servants are spending vast sums of public money with no assurance of serving either the world’s poorest people or the interests of taxpayers. They, the loony politicians, should be tarred and feathered for such lunacy. Money to countries with rampant corruption; nuclear weapons programmes; space programmes; support of terrorists; blatant attacks on our way of life. Charity begins at home. To add insult to stupidity its money we don’t even have. 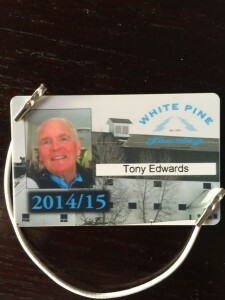 Now I’m 65 I get a free ski pass for the White Pines cross country course. How wonderful is that. One of the few benefits of retirement. 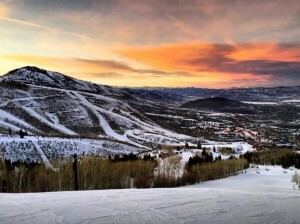 In the morning have a Classic Cross Country ski lesson booked with the Park City Mountain Sports Club up at White Pines. Get a 1 hour lesson and then do the 3Km loop. Unlike Skate this is a tad less strenuous and I survive without feeling wetter than a water hogs back side and feeling powfagged. Meet Wendy for a Starbucks. Meet up with Heidi (she bought the place we stayed at last year) at 10:00 for a mornings skiing. Then we meet up with Wendy for lunch. You know you’re a local when the bus drivers know your name and give you a hug. For the avoidance of any doubt, and not to tarnish Victors reputation, the hugging bit is confined to Wendy. 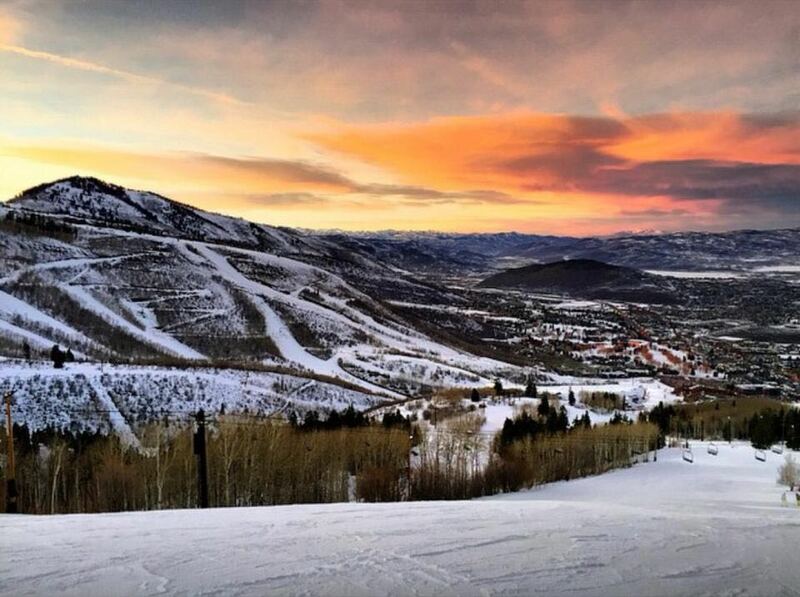 Park City – the best bus service ever – and it’s free. Wendy’s doing her first full day as a Plaza Host so she’s out on the 07:30 bus for the 08:00 Host meeting and then has a full day on the Plaza and in rentals. I’ve managed to swop my first duty so I can do the Mountain Guide Training session with the National Ability Centre (NAC). 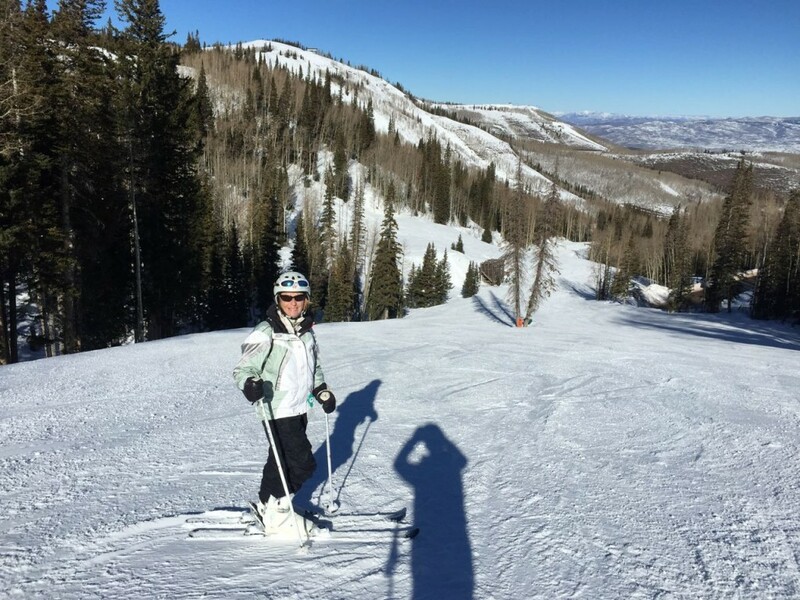 Spend most of the day in a classroom, but manage an hour on the slopes when we’re put through our paces and checked out that we can really ski. 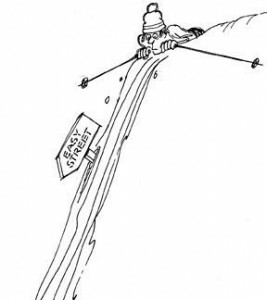 Part of it means giving up your ski poles and skiing without them. Then at the end of the day there’s a short, easy test and hey presto your qualified to take disabled skiers, who are capable of skiing independently, on a mountain tour. Should be fun. The NAC does an awesome job with disabled skiers and even snow boarders of all ability. It’s a credit to them and totally appropriate that they are called the National “Ability” Centre. I’ll still be doing some volunteering, as I did last year, assisting an instructor. 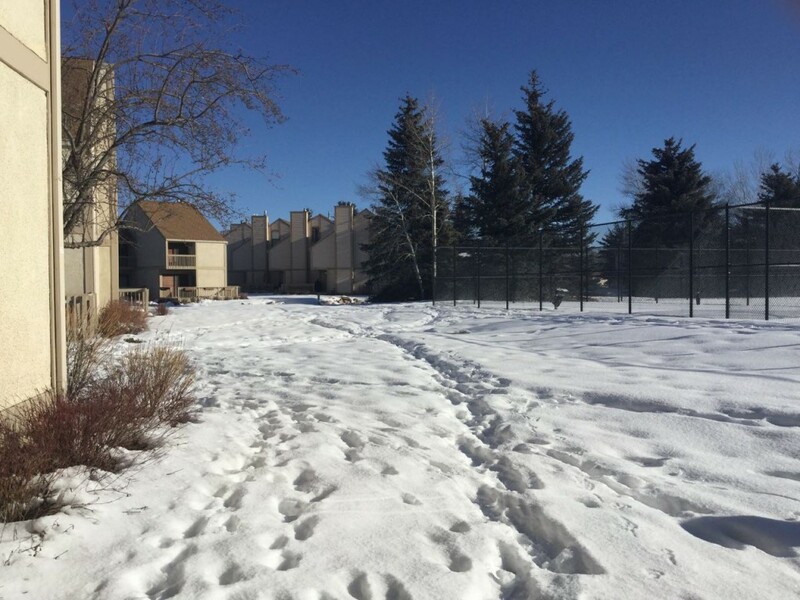 Sunday – cold and sunny. Wendy’s working on the plaza again today. Lunch with the worker (Wendy). Managed to slip another 5 runs in. Awesome day. This truly is paradise. Then had a walk into town to Chubasco to pick up a Burrito for me tea. My favourite. Monday – cold and sunny. Just another ski day. Start at Eagle as usual. Thankfully it’s started running. Tuesday – cold and sunny. Up at Eagle lift for 09:00 for an early start. 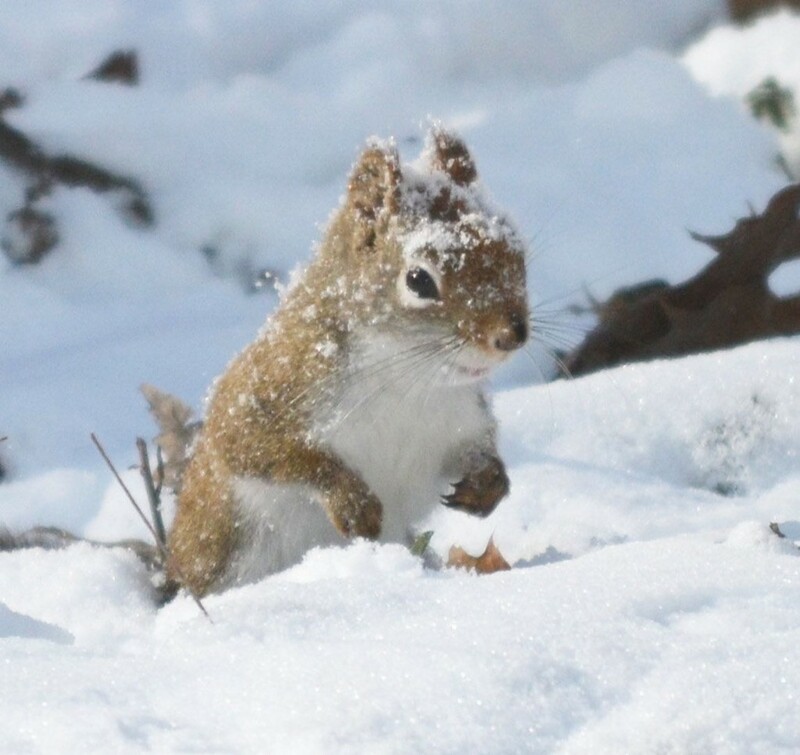 Snow is still pretty good. Met the Park City Mountain Sports ski group at 10:45 and skied with them until margarita time in the Baja Cantina. Wendy came up and joined us. Violated my first law and had my first margarita – probably my last. Hmmm… Some of the Black Diamonds remind me of this. My nemesis this season is going to be Erika’s Gold and Blue Slip bowl.